Ryanair has dropped its decade-long opposition to working with global distribution systems as it seeks to double the number of business passengers within two years. The low-cost airline today announced the signing of a deal with Travelport that will allow travel agents and travel management companies that are connected to the American company to book Ryanair flights. The deal with Travelport, which includes the Galileo and Worldspan GDS brands, represents a U-turn for Michael O’Leary, the airline’s chief executive, who had until recently opposed the idea of working with a GDS. The controversial Irishman cut his links with the big GDS systems a decade ago after balking at having to pay 10 per cent commission to the travel agent and another 10 to 20 per cent to the GDS. 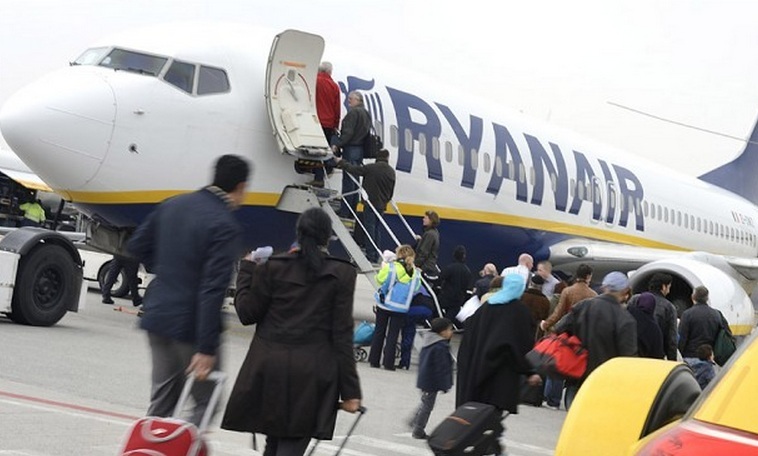 He had appeared less implacable in his opposition in recent weeks, however, conceding that, for Ryanair to boost its share of the business market, it night have to follow easyJet and secure GDS distribution, albeit “very cheap distribution”. Mr Jacobs added that further tie-ups with GDS were likely as part of the airline’s strategy of doubling the number of business passengers over the next two years from its total of 19 million — 22 per cent of total customers. He said that the focus on the higher-yielding business market was itself part of a wider aim of lifting Ryanair’s total number of passengers from 81.5 million to 110 million. As part of the courting of corporate customers, Ryanair has started to address some of the biggest bugbears, introducing seat reservations, fast-tracking through airports, mobile boarding and the flexibility to change flights. Mr Jacobs said that, while such premium services would carry a fee, it would “still be the best price” in the market. Customers who book through a Travelport-connected agent will pay a surcharge to the agent, with Travelport receiving a facilitation fee from Ryanair on a monthly basis.